Easy light and airy cookies made with only 5 ingredients! 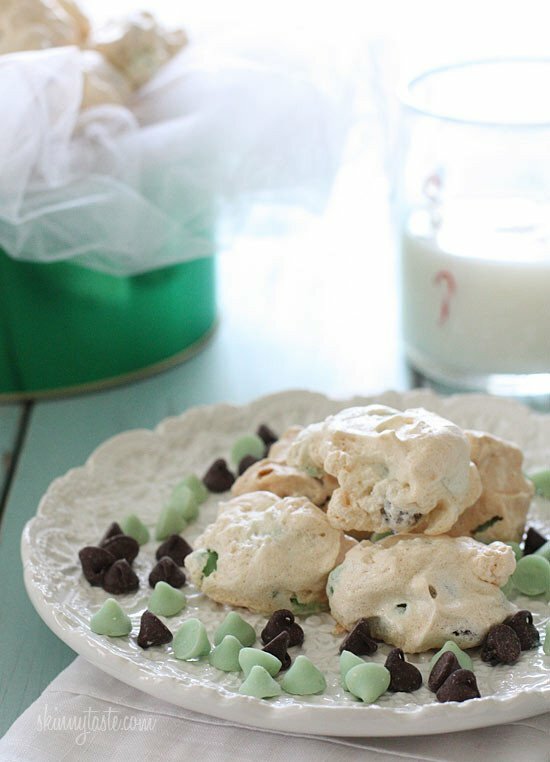 If you like the combination of mint chocolate chip, then you’ll love these little merengue clouds. These are similar to my festive Peppermint Meringues, Black and White Chocolate Chip Clouds, Sprinkle Dipped Meringues and Gluten Free S’more tartlets with Meringue Topping. We’ve been making chocolate chip clouds for quite a long time in my house, my oldest daughter who is quite the baker, always makes, not because they are light (she’s too young to care about calories) but because they are so good. And, since her BFF has Celiac, these are the perfect gluten-free cookies to share. They are light and airy and melt in your mouth. I think they even get better with time, and they last quite a while if stored in an airtight container. When I saw these Dark Chocolate and Mint Morsels in Target, I knew I had to make these! They are the perfect addition to your Holiday Cookie Swaps. Easy light and airy cookies made with only 5 ingredients! 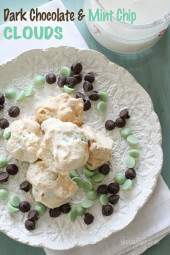 If you like the combination of mint chocolate chip, then you’ll love these little meringue clouds. 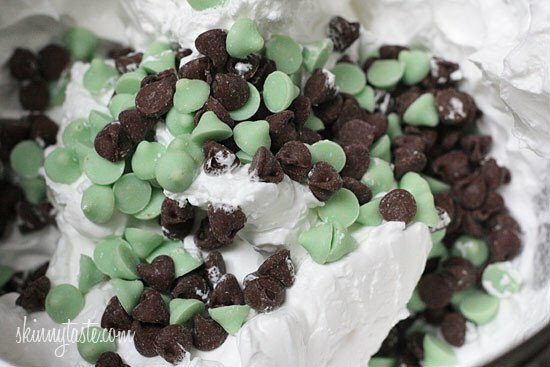 Fold in mint chocolate chips. Drop mixture by tablespoons onto cookie sheet. Bake 35 to 45 minutes or just until dry. Cool slightly; remove from cookie sheet. Cool completely on wire rack. Store covered, at room temperature. Makes about 30 cookies. Helpful Tip: Always be sure your eggs are room temperature, and you use metal beaters and bowls for perfect meringues every time. Perfect!! I just got asked to make a Christmas dinner dessert yesterday and I think I have found my choice!! When I make chiffon cakes I begin by beating the egg whites until they are frothy, then I sprinkle the cream of tartar over the top (stopping the beating process while I do this). Turn the beaters back on and beat the egg whites till soft peaks form(I would do stiff peaks for a chiffon cake). Add the sugar and beat until glossy. I would be careful about under beating, better if they be a bit stiffer. Also, FOLD in the choc chip pieces, don’t beat them in. I know my response is a few years too late but….. Possibly increase the cream of tartar to 1/4 teaspoon too. 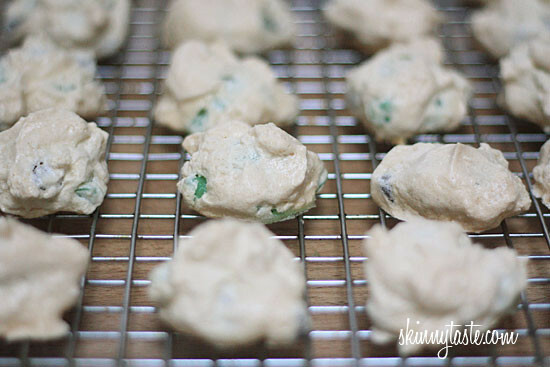 I just made these tonight but couldn't find mint chips (was told they are seasonal) so I just used semi-sweet. They were absolutely fantastic! So easy. So light. Gluten-free. PERFECT! Will make again and again. You can make your own mint flavored chocolate chips by putting a bag of semi-sweet chips and a 1/2 tsp on mint extract in a sealed container or ziploc overnight. Thank you for that hint. Going to use it! Do any of you find that humidity makes a difference? 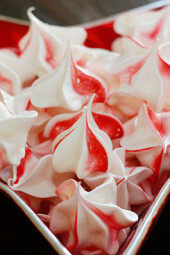 I loved meringues as a kid. My great aunt who lived in Baltimore always made them at Christmas. Now my mom makes them for me, but they just aren't quite right. We live in south Mississippi which is ALWAYS humid. These were the best Christmas dessert/gift I have ever made. Everyone loved them and I kept making more and more. 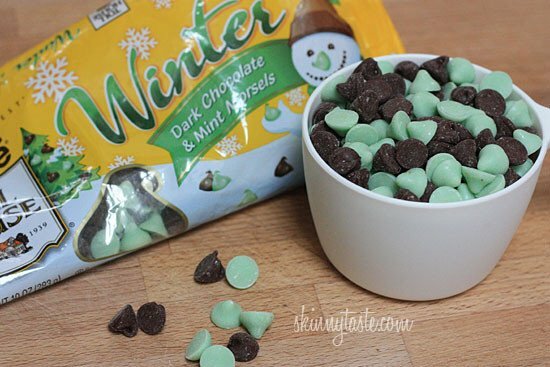 Those mint/dark chocolate chips were the best find this Christmas. I also made very delicious chocolate chip cookies with them. I have these in the oven now… a Christmas gift for my diabetic father in law! I hope he loves them, they sure smell good! 🙂 thanks for the recipe Gina. I made these this evening, and we loved them. 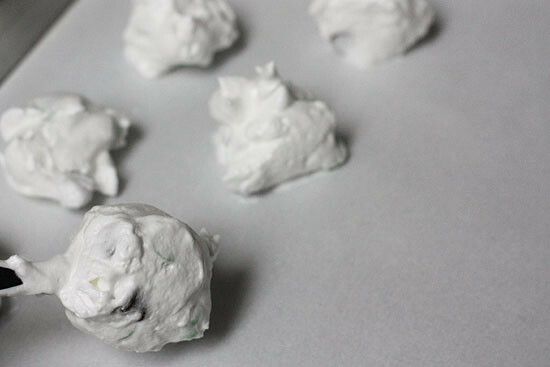 I have not made meringues before, and have a couple of questions. When I took them out, they were a little sticky to the touch, should I have left them in longer? they were in for 45 minutes. Good crunch on some of them. Also, they turned a cream color, is this from the type of sugar I used (raw rather than refined), or from the basic cooking process and browning. Many thanks. These are amazing, Gina! (Not that I expected anything less :)) Mine were a bit more beige than yours after 35 minutes so think I will try 30 next time. these were DELISH! My kids and husband downed them so fast. They didn't last the day before they were gone. I have made these three times in a week!! Love this recipe. I was intimidated at first, but it's so easy and my whole family loves them. Made them the last two times with 1/2 peanut butter chips and 1/2 chocolate chips. Actually satisfies my chocolate chip cookie craving! Thanks for letting me eat cookies again! I have a glass bowl on my kitchen aid. It didn't come with the metal bowl. Will that work? I could not find the mint choc chips so I bought dark choc chips and cinnamon chips. Do u think it would be ok to put the dark chips and cinnamon chips together or should I just make with dark choc chips? Is there an acceptable substitute for cream of tartar? I don't know about for cloud cookies, but as a general rule you can use vinegar. I've never made these before. Made them Sunday for book club and everyone LOVED them.. now making for hubby's work xmas party and they came out better (used metal on metal this time) but they feel even gooeier in my mouth when I bite in the middle away from the golden brown. (taste is still spot on though!) so can someone describe the correct feeling of the cookie? Is it supposed to be sticky? Although I used room temp egg whites, and metal bowl, I could not get my meringue to form stiff peaks. I had it set on highest speed of my mixer. I have never made meringue before. Not sure what I did wrong? Whites will not whip if there is any oil in the bowl or on the whipping beaters, so maybe the bowl/beater was oily? Wipe it down with some lemon juice on a napkin before beating to eliminate all oils. Also, it takes long to start but once it starts, its not too slow. I am having a lot of trouble with these..
do you need a mixer? I don't have one (not even hand mixer), so i tried with just a whisk. Does that not work!? Can I use raw sugar for these? I used raw organic sugar (meaning unbleached) and they worked really well! 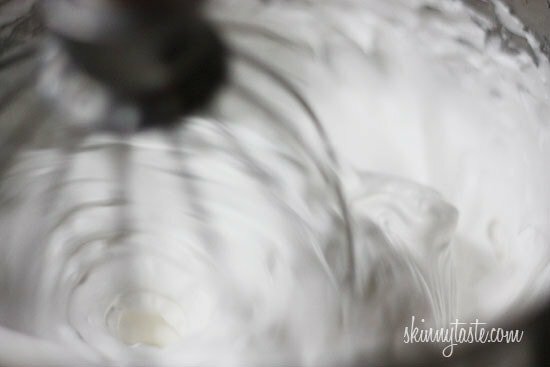 I had a little trouble whipping up the egg whites because I didn't realize I needed to start at a slow speed and gradually increase the speed to high… just a suggestion for future recipes. That little detail made all the difference! Are they supposed to be a light brown when done in the oven or does that mean they burned? Mine are light brown on the outside but squishy if u try to pick them up…any guidance on judging doneness is appreciated! Thanks! I have burned the first batch. what did I do wrong??? The second batch almost burned after 20 minutes. They do not look done in the middle but are brown on the outside. Where was your oven rack? Top, bottom, middle? Maybe invest in an oven thermometer as your oven temperature might be slightly off? I just made these and they are amaaazing! I'm not normally a big fan of merengue so I wondered if I would like them, but I LOVE them! Thanks for the great treat idea! So easy, so cute and delicious! I got more than 30 out of mine, which makes them one P+ each! I just made these and they're delicious! The Nestlé mint chips are not gluten free (I am), so I used dark chocolate chips and mint extract. Worked perfectly! Next time I'm going to try the Andes pieces. Host the Toast (http://blog.hostthetoast.com) just featured this recipe on the food, drink, and entertainment blog's "Link Love" post! 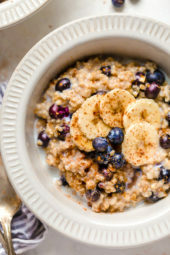 Great photos, recipe, and writing as always! I have been a huge fan for a while now, and you never disappoint! What does "just until dry" mean? I burned the first batch, now have the 2nd in the oven but don't want to overcook them. Any better tips for knowing when they are done? Looks so yummy! I think I am on cloud nine right now. Amazing!!! I couldn't find the mint/choc chips so I got a bag of baking andes mints pieces…Delish…sooooo light and yummy!!! yum!!!! never heard of clouds before…can't wait to try! Aww damn! We don't get mint chips in Australia (or butterscotch chips. I know, so wrong) but these looks AMAZING! Peppermint & Chocolate is my all-time favorite sweet combo! These sound great, I've gotta find those morsels! So glad I read the comments. No mint chips here in New Zealand either but I'll definitely try the mint extract option. I've made chocolate almond ones before but this version sounds great for Christmas. Would this recipe work with Splenda in place of the sugar? I love cloud cookies. What can I do with the yolks? Can they be frozen and used later? I usually give them to my dog or toss them. Many homemade ice cream recipes call for egg yolks. I always make cloud cookies to use up the whites after I make ice cream. These look lovely! I've never made this type of "cookie" before, but I think that I may try them. Thanks for the inspiration. Try adding a drop of Spearmint extract to the cookies then using chocolate chips will give you that combo. Gina…Fabulous grain-free recipe…While the "visual" may not be as impressive…Perhaps those of us dwelling in Europe without access to the morsels could use a chopped-up "Andes Mint" layered chocolate/mint type of bar?…I think I've seen something like these that could be a substitute! Try adding a drop or two of green food coloring for a festive look. I have made these for years but am delighted to now have the mint chocolate chips available as I have added a drop or two of peppermint extract in the past. I have also used red food coloring with almond extract for another tasty cloud. My grandma used to make these cookies, my favorites! She called them Forgotten Cookies because she'd heat up the oven to 350 or so (? ), put the cookies in the oven, turn the oven and leave them in overnight – thus forgotten. She also colored them a very pale green. Thanks for the memory! Gorgeous! I love meringue cookies and I love the chips you put in them! Wonderful recipe!! Try adding a drop of Spearmint extract to the cookies then use dark chocolate chips. Ohhh, these look very delicious! 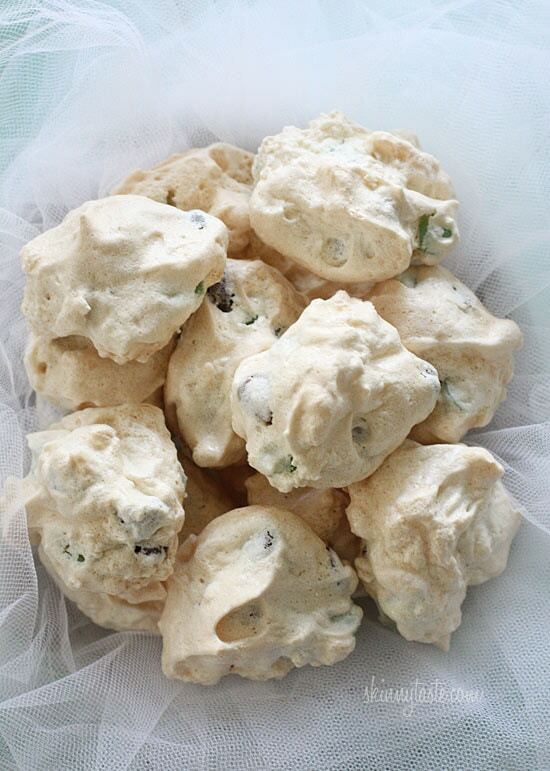 Look for the "peppermint meringues" recipe on this site – you can add 1/2 teaspoon peppermint extract to the meringue just as you're finishing the whipping, then just use chocolate chips. I made the peppermint meringues for a cookie exchange this weekend, and they were AMAZING. I love how many European's visit here! Try adding a couple of drops of Spearmint extract to the cookies then use dark chocolate chips. 1 cup dark chocolate and mint morsels…1 cup each or 1 cup total? They're mixed together in the package (like in her pictures), so it shouldn't be separate measurements. I didn't know about the metal bowls, I'll keep that in mind! Plastic holds grease, and grease will destroy meringues. Looks delicious! I am a real mint fan so I know I would love this! I LOVE making these types of cookies!!! My DH is diabetic so do you think they would work if I used granulated Splenda instead of sugar or even 1/2 sugar and 1/2 Splenda? Sound great, can't wait to make. Wouldn't the sugar in the chips would prohibit him from having these? I don't know if it would work with SPlenda, please let me know if it does. Juju — diabetics can have sugar. That's not the problem. Hi, I was thinking of trying to make these for a holiday cookie swap I have coming up in the next two weeks but I'll confess I'm not much of a baker and I have one question…what is cream of tartar? Is that something I could buy at the local supermarket (like Publix) or do I need to find that in a health food store? These sound delicious, thank you! Cream of Tartar can be found in any regular grocery store with the spices. I had the worst luck the first time I tried to buy it- took 5 different stores to find. I'm not sure if you have one near you, but Stop and Shop always has it. It's with the spices, I but in in the supermarket. A healthy holiday-themed cookie, yay! These look delicious and I love that they have both mint and dark chocolate. Yum! These look and sound delicious. I am definitely going to try them (and bring as a holiday treat to one of my girlfriends who is gluten free. Do these freeze ok? We're condiering making them ahead of time (8-9 days, due to scheduling) for an event. 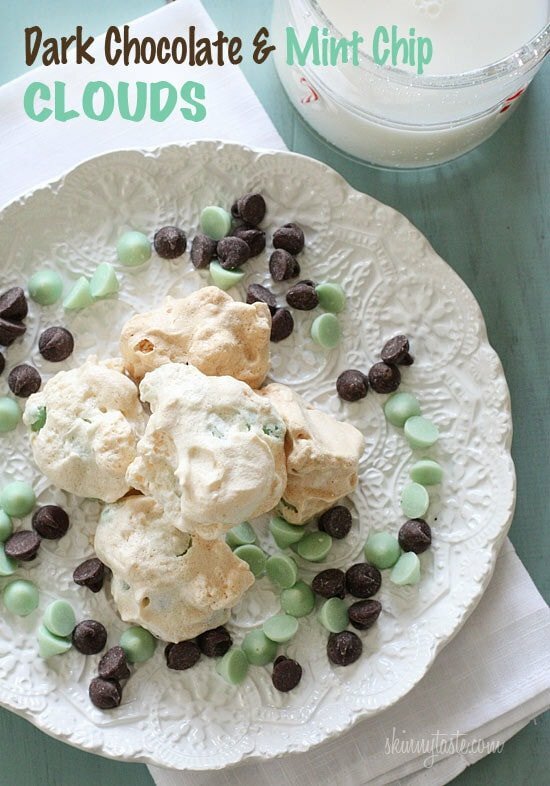 I love mint chocolate desserts at Christmas – these look like so much fun! I used the Andes pieces, because that's all I could find and they worked out great! Those look so yummy! A perfect way to get a light chocolate treat. I just hope I can find those choc/mint chips in Canada. Would I be able to use egg beaters egg whites, instead of real ones? Nothing against real eggs, I just happen to have a TON of egg beaters egg whites and it would be a lot easier! I just don't know what I'd save the yolks for. If I recall correctly from past experience, egg beaters don't work for meringues – I think they even say so on the package. If you have the Egg Beaters Whites Only, then yes it should work. Anyone else tried it? I tried these with Egg Whites Only and they did not come very good. 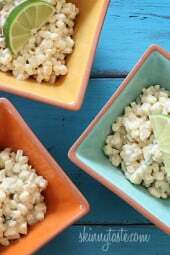 I have made these numerous times with real egg whites and they always come out good.My kids LOVE them. I may make them today. Those eggs are mechanically separated, not done with love in a kitchen…and even the tiniest bit of yolk (or fat of any kind- always wipe your bowls with a paper towel before you use for meringue) will cause your egg whites not to beat properly. I didn't think they would work, but it was worth a shot! Thanks everyone! Now, what to do with those yolks. . . I made these with Egg Beaters (whites only) last night and they turned out fine. I haven't ever made anything with beaten whites before though, so maybe I just don't know the difference! But they passed the husband and neighbor taste test! Also, I substituted chopped Ghiradelli Peppermint bark for the mint chocolate morsels and it worked great. I've never had cloud cookies before. They sound interesting and look delicious!